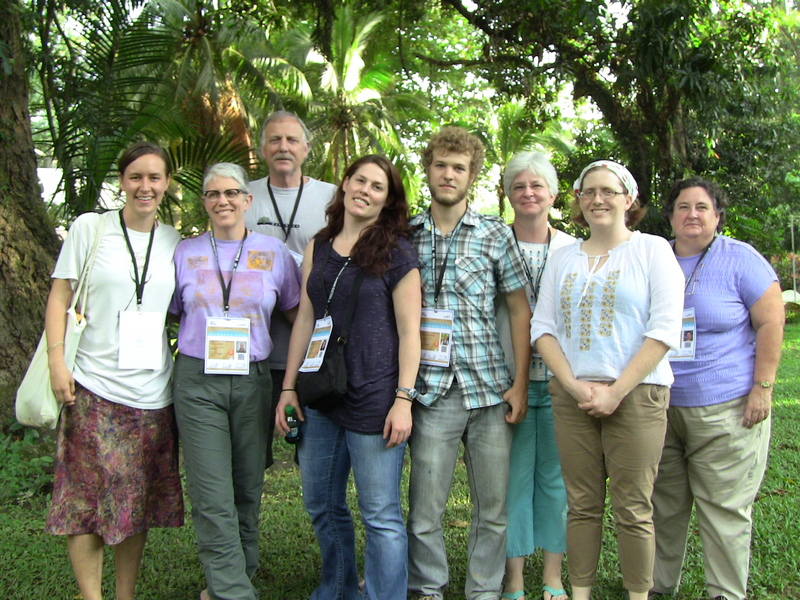 UPDATE #2 (11/21/2013): After an in-person interview with one of the delegation leaders, we can confirm that all delegates have returned safely from their visit to examine the conditions in Tejera, Rio Blanco. They walked out and met their transport vehicles this morning on the road at Santa Ana. However, for residents in Tejera, the situation remains tense. There is concern that the road block maintained by members of the DESA Hydroelectric company and their local henchmen may be used to impede the voting rights of people from Rio Blanco on Sunday. The delegation has requested that people continue to call the police commanders of the region to insist that the voting rights of the people of Rio Blanco be respected by guaranteeing them safe and open passage in and out of the community, especially in direction of Zacapa, where some of them are scheduled to vote. Intibucá, Nov. 20, 2013. URGENT ALERT! 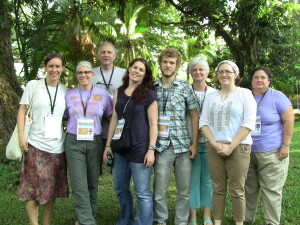 International Human Rights Delegation detained en route to Rio Blanco. This afternoon an International Human Rights delegation was detained at a checkpoint set up by DESA employees, four members of the Santa Ana town council, under watch of the national Police, the Honduran Army and the Mayor of Zacapa. 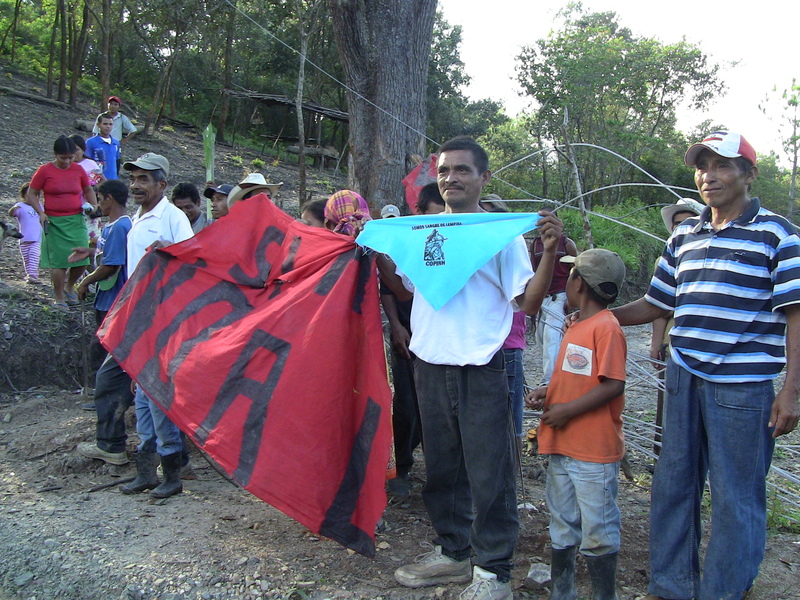 The delegation was heading toward Rio Blanco with the intention of meeting with the communities of Rio Blanco and COPINH to investigate recent allegations of human rights violations and the criminalization of the local people opposed to the construction of the Agua Zarca Hydroelectric Project/ DESA. The delegation is comprised of 20 US and Canadian citizens who hail from internationally recognized organizations such as School of the Americas Watch (SOAW), Sister Cities, and the Canadian Press. Delegates stopped at the roadblock were told that if they were to continue their journey, and threatened that they would not be allowed to return, and that the group would never leave the area. These actions are part of a repressive campaign targeting COPINH and the people Rio Blanco. The campaign has intensified in the past month more militarization and harassment by DESA employees utilizing their “operation freedom.” We do not doubt that this intensification coincides with the approaching elections and is aimed at the vulnerability of communities. WE CALL OUT to all solidarity groups, and Honduran and international Human Rights organizations to denounce this violation, to demand free passage for all in Rio Blanco, and to respect the rights of the Lenca indigenous people to maintain their own relations with solidarity groups and human rights organizations, international reporters and COPINH members. We condemn this paramilitary action which is unacceptable, as is the fact of preventing the transit of the only bus used by the people of Rio Blanco to travel to and from their homes. We also call for solidarity to accompany Rio Blanco and the Honduran people, and to redouble their efforts to ensure respect for human rights of Lenca people and the Honduran people in general.